Master Dog Behavior expert Brett Endes has 20+ years experience solving the problems no other dog trainer can tackle. Whether it’s basic commands, separation anxiety, or dangerous aggression, Brett addresses the core underlying issues which drive each behavior to help you develop effective, permanent remediation to your dog's problems and restore the balance, harmony, and security of the human/dog bond. Brett earned his comparative psychology degree from the State University of New York and is a graduate of The Academy of K-9 Education. He has worked with 15,000+ dogs and their owners throughout Los Angeles and worldwide. Brett is an applied problem behavior specialist and has been featured in a wide range of media for his unique and effective approach to dog training. He lives in Los Angeles with his daughter and their Rottweiler named Booey. Master Dog Behavior expert Brett Endes has 25 years experience solving the problems no other dog trainer can tackle. Whether it’s basic commands, separation anxiety, or dangerous aggression, Brett addresses the core underlying issues which drive each aboutbehavior to develop effective, permanent remediation and restore the balance, harmony, and security of the human/dog bond. Brett earned his comparative psychology degree from the State University of New York and is a graduate of The Academy of K-9 Education. 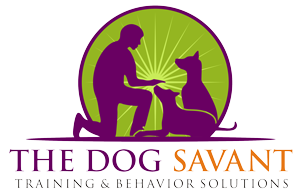 He has worked with 15,000+ dogs and their owners and is an applied problem behavior specialist. Brett has a long list of celebrity clients and has been featured in a wide range of media for his unique and effective approach to dog training. He is a regular pet behavior expert on The Hallmark Channel's Home & Family Show and lives in Los Angeles with his daughter and their two dogs Minnie and Boo.